Formal concept analysis allows to represent a meaningful structure of a thematic domain in the form of a lattice-based taxonomy. 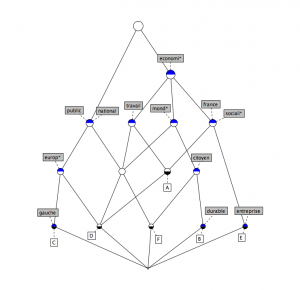 Agents who share the same cognitive properties, i.e. a set of notions, are grouped together into a Gallois lattice featuring both actors and concepts. 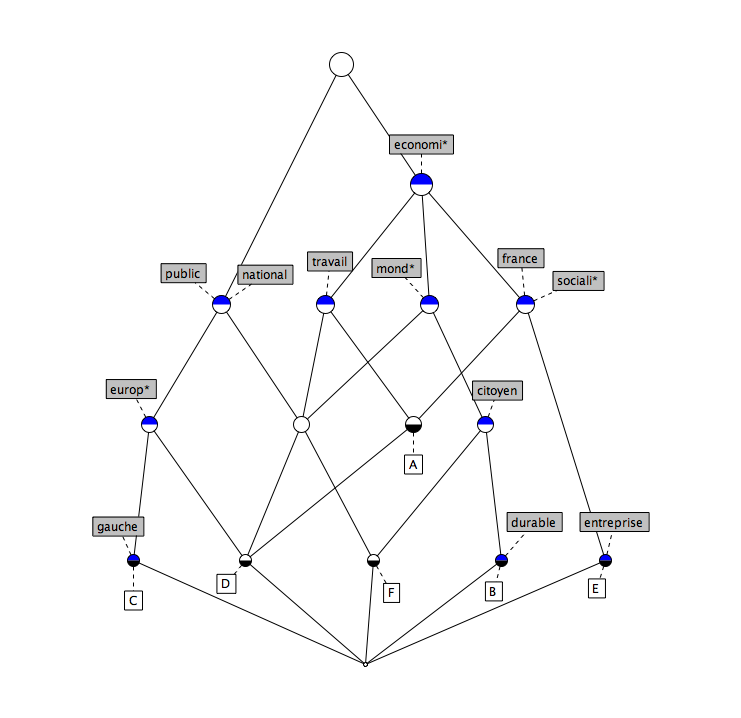 Groups in the higher levels of the lattice describe the sets of concepts jointly used by several actors, while lower levels of the lattice are populated by most specific concepts of each actor. you can read, here (in french), a short description of such an analysis based on Socialist Party resolutions presented at the Congrès de Reims or read the article presented at the 6th International Conference on Formal Concept Analysis, Montreal, Canada: Filtering lattice-based taxonomies with concept stability: A case study in the analysis of political texts.